This is the Carzone.ie guide to buying a used VW Caddy. The Volkswagen Caddy is essentially a commercial vehicle (CV) based, roughly, on the Volkswagen Golf. It is a nameplate that has been used since 1980 across three generations, the latest of which was released way back in 2003. It comes in a variety of body formats and with an array of engines, although here in Ireland we typically only buy diesel versions of the Caddy. It’s a rival to any small van that also doubles as an MPV, such as a Peugeot Partner, Citroen Berlingo, Ford Connect and Opel Combo Life, although Volkswagen’s premium credentials mean it is often more expensive – in terms of outright purchase price - than its competitors. The Caddy is ostensibly a two-door panel van with a front end that is heavily influenced by whichever generation of Golf is currently in play, but there are many variations on that CV theme – including some obvious civilian takes on the formula. The Caddy Maxi is a long-wheelbase version that’s 470mm longer than its regular-wheelbase cousins, while the Caddy Life is an MPV that comes with either five or seven seats (the latter as a Caddy Life Maxi) – and a slightly more basic work version of the van-with-windows is called the Caddy Kombi. There’s even a Cross Caddy (also known as the Caddy Alltrack), which is a version of the MPV model with a higher ride height, rugged body extrusions and pretensions of go-anywhere lifestyle goodness. Volkswagen offered the Caddy with a wide variety of petrol or diesel engines, but here in Ireland, you’re only like to find diesels. Very early 2003 Caddy models will have the old 1.9 TDI, which performed sterling service in various Volkswagen products throughout the 1990s and early 2000s, and some were even fitted with a 105hp 1.6 TDI, but in the main it’s a 2.0-litre TDI which powers the Caddy. This can have from 75- to 150hp, which makes the Caddy either glacially slow or decently punchy, respectively. The Caddy was heavily facelifted for the first time in 2010, adopting the front lights and grille from a Touran MPV (which was similar to the Mk6 Golf), before another facelift in 2015 brought in the current VW corporate grille, which features wide, horizontal slats and sharp, LED-headlights. Realistically, unless you’re a tradesman, the Caddy Life is the one to go for and, to get it in its best guise, you want to pick a high specification model from 2015 onwards with the most powerful 2.0 TDI engine. Find a Trendline and you’ll enjoy such luxuries as touchscreen infotainment, cruise control, air conditioning and auto lights and wipers. 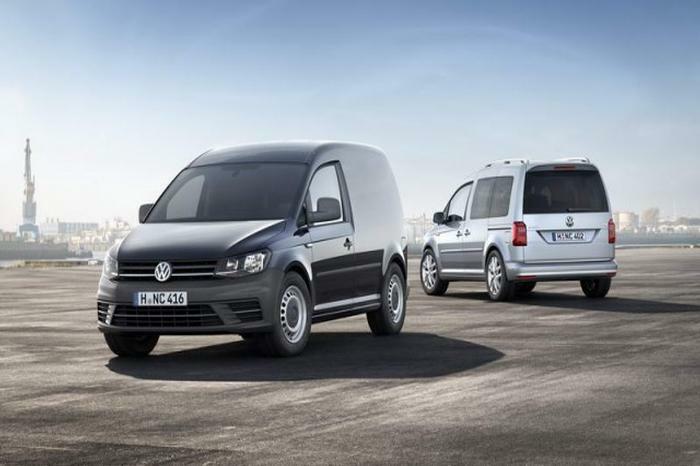 The Volkswagen Caddy may well be a machine that is, ultimately, derived from a plain old commercial vehicle, but it’s a sought-after product nonetheless. Beloved by owners and popular with people looking for something a little different from the MPV norm, the Volkswagen Caddy offers much of the German brand’s premium qualities in a highly practical and voluminous body that makes it great for larger families.